Maritime design and engineering consulting firm BMT has launched its new office in South Australia. 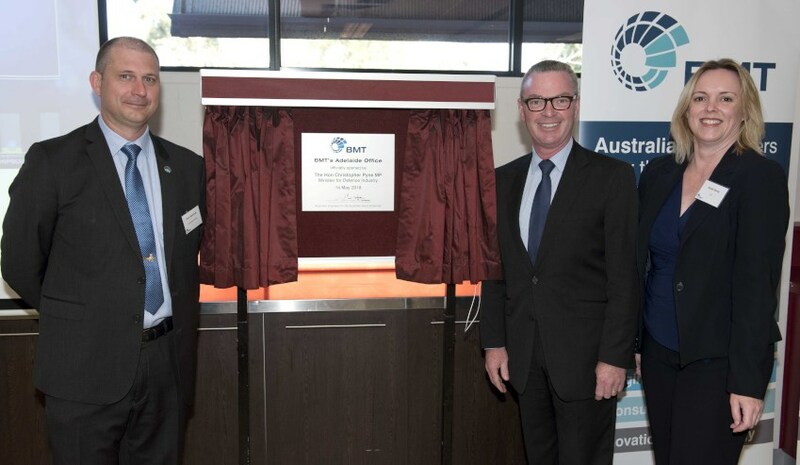 The office, officially opened by Minister for Defence Industry Christopher Pyne and BMT executives, is part of BMT's plans to develop an Australian presence in the naval shipbuilding sector. "BMT is very excited to set up shop in Adelaide, which of course is one of the centres of Australia’s defence industry," BMT managing director Peter Behrendt said. "Our South Australian office will employ 15 people by mid-year, which is a demonstration of our confidence in the sector and the quality of the local workforce." Minister Pyne said the new office is a win for Adelaide workers. "It is fantastic to see BMT Australia expanding its footprint after operating in Australia since 2005," Minister Pyne said. "BMT Australia [is] yet another organisation expanding their offices and workforce because of the Turnbull government’s huge investment in the country’s defence capability. "The new Adelaide premises will house a submarine engineering capability and members of the senior leadership team, including the managing director and chief financial officer. By July, the company is set to double their staff in Adelaide to almost 20." BMT has already worked on and provided technical advice on several significant naval projects in Australia including the Future Submarine and Offshore Patrol Vessel programs, Collins Class submarine sustainment and the Ships and Submarines Divisions Workforce Review, and is looking to continue to contribute to the upcoming naval shipbuilding projects. "It is only natural that we develop a strong presence in Adelaide as we look to assist Australia in the development of its naval shipbuilding enterprise," Behrendt said. "BMT is in this for the long term and we congratulate the Australian government for its multi-decade commitment to the defence industry."